It takes an act of Congress to get my son to write his name on a piece of paper with a pen or a pencil without a filibuster from him on why it is he doesn’t need to learn how to write with “real” paper. Give him an iPad, though, and he could animate an entire cartoon series. That’s a true testament to the growing role of technology in early learning, which could either be considered an advantage or a detriment. Whichever side the coin lands on, however, keeping up with the fast-paced virtual world can help children learn valuable skills. The Round The Block app is like a beginner’s course in 3D animation designed specifically for the young artiste in your house. 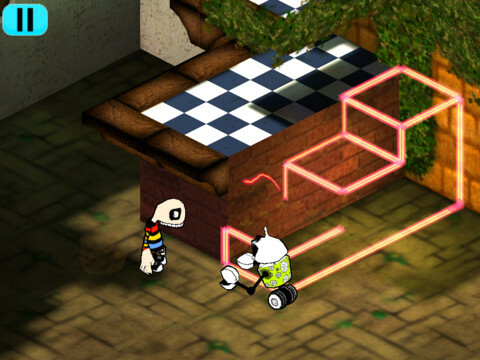 Help the funky-looking protagonist Igor evade the rampaging robots by tracing the yellow dashes to create escape routes. Choose from a library of objects like a hot air balloon, brick houses, or a car, and Igor can float or zoom far from the metal misfits. There really is no storyline to follow in this app, and there are no time limits, point systems, or levels. 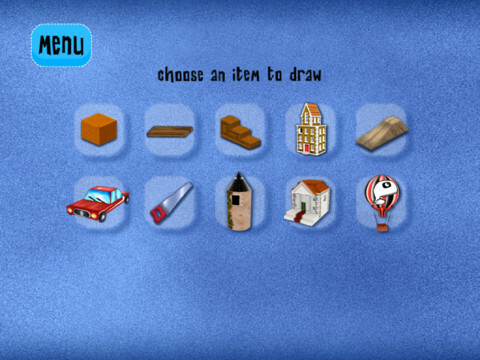 Game play is pretty straightforward – draw the object for Igor before the robots reach him. After a suspenseful transition the next scene is ready to be tackled. All of this ease of play means that children as young as 2 can easily play without frustration and learn the early fundamentals of three-dimensional animation. My son (aka Mr. Smith) really enjoys this game. He’s a card-carrying member of Generation i – as in iPad – and easily grasped the concept of 3D drawing. At first he was a tad frustrated that the robots kept closing in but he quickly learned that the trick is to quickly draw. His 2-year-old sister played the game as well but because there was very little pink and not a unicorn in sight she decided that there were more important apps to be played. If you have a young animator-in-training, this is a great app to help him or her further their drawing skills. For $1.99 Round The Block provides not only entertainment but also the early skills that will surely come in handy for the next generation of video game creators or Pixar employees. 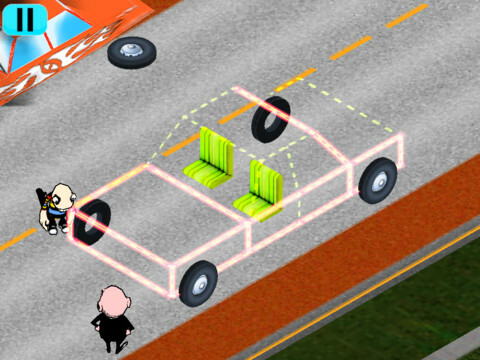 Enter a world of 3D-animation and action where your drawings become part of the game.